I hope to explore the world with our children. Their first ‘big’ trip was to Las Vegas and they absolutely loved it. Both kids have caught the travel bug and want to explore the world! Someday I hope to take them to visit the beautiful island of Okinawa. 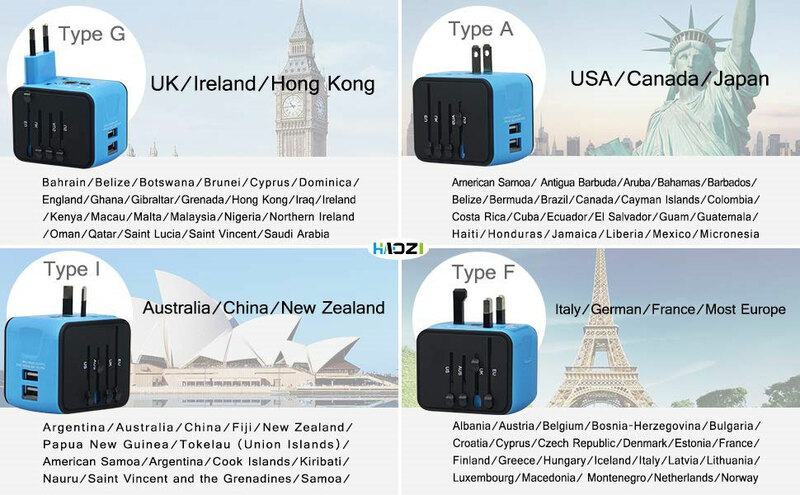 For a trip like that, we would need an International Travel Adapter like the HaoZi Adapter to charge our electronics. 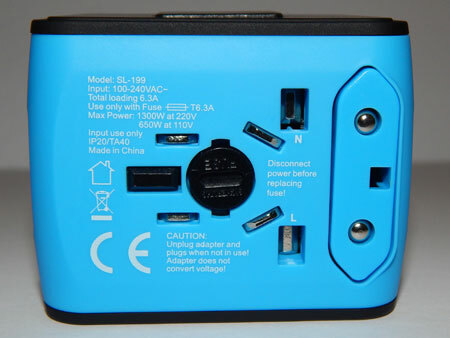 This unit has dual USB slots and an AC power socket to charge your devices. Please take not that this unit DOES NOT convert voltage. 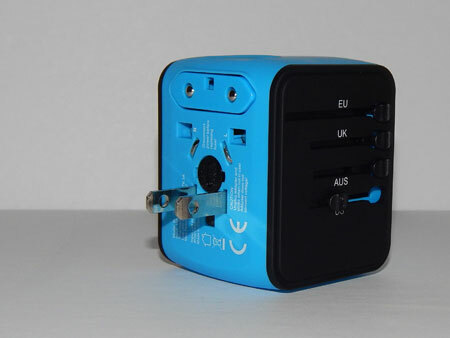 It is CE certified with a 6.3 Amp fuse ensures complete protection for you and all your devices. 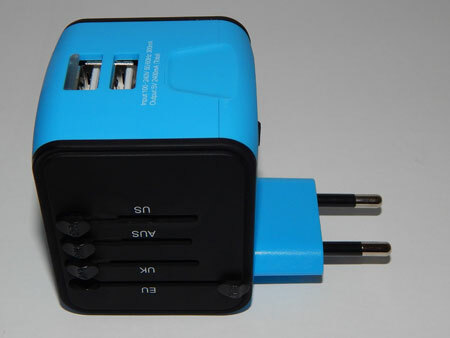 This universal charger is compatible with almost all USB devices like Apple Iphone and Android devices. 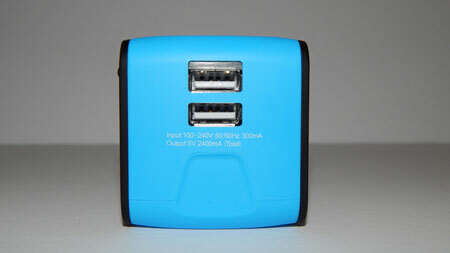 I love that it can charge three devices without needing to take extra chargers. Changing the prong type is easy. Simply slide the switch of your country of choice to the locked position. There is a button on the opposite side to unlock. The unit is large, approximately 6cm x 5cm x 5cm. 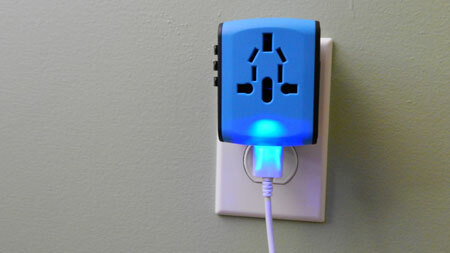 There is a soft blue light that shines when it is plugged in. This is a nice feature when you are in a hotel room, wandering around in the dark looking for things. I would like to be able to turn off this light when it’s plugged in at home. I have not had the opportunity to try this universal adapter in any other country, but I am very happy with how it works here at home. I use it regularly to charge both my laptop and iPad. 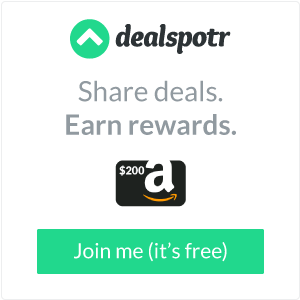 *Disclosure: I received a complimentary product through the Amazon Vine Program in exchange for my review. All opinions are 100% my own.